At 12.51pm yesterday, 22 February, nature threw it’s latest punch to the people of Christchurch. A 6.3 earthquake literally shook the city to pieces. 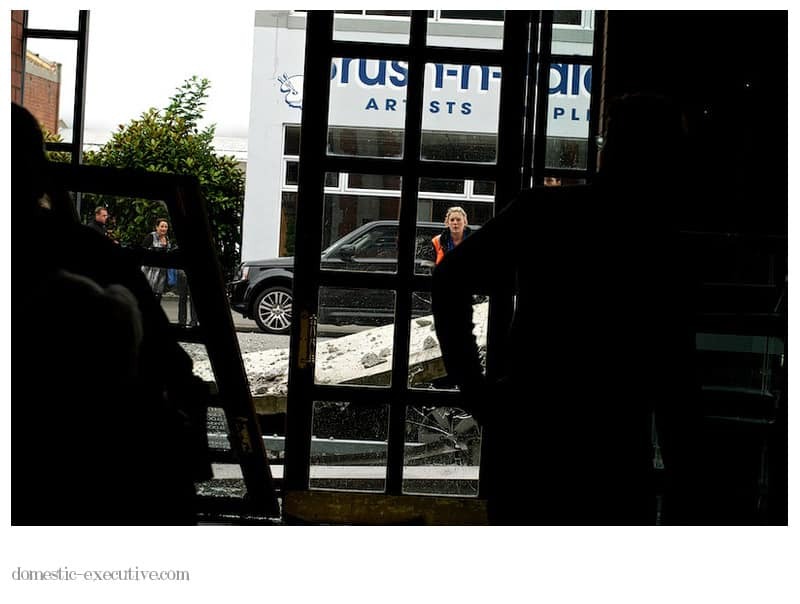 I was in Christchurch for work and taking a break between appointments for a spot of shopping when the quake struck. Instinctively I followed the quake mantra – drop, cover and hold on. Hiding under a large display stage with 3 other people whilst the store’s contents and manikins scattered all around us. The noise was deafening and then the shaking stopped and we were left in an eerie silence. Despite the shock and upset everyone stayed calm and we walked down to the ground floor and entrance. This picture shows you what was there. The door was caved in with glass all around but outside buildings were no longer standing but mostly fallen down into the street. Cars and pavements were crushed with fallen debris. For all the carnage, destruction and horror of lost lives, tides of people calmly walked for safety away from buildings. And we kept walking. Although lost, alone and in despair a wonderful young woman – a good Samaritan – took me under her wing, took me into her home and gave me sanctuary when I most needed it. We kept each other company through the night as after shocks continued every few minutes continue to rock and roll the city. Finally she drove me across damaged roads to the airport from where I headed home. I shall be ever grateful to this stranger that for 18 hours became a trusted friend. For the last 24 hours my mobile phone has been my lifeline to my loved ones. MT was finally put out of his misery when my first text reached him 40 minutes after the quake. Friends and colleagues sent messages of love and support which kept my spirits up and my colleagues and client company treated me like their own fixing up for me to fly home and doing all they could to make my life was easy. Since getting home I’ve seen messages on Facebook and Twitter that I have been so touched by and grateful for everyone’s good wishes. Back home I still can’t believe my luck. Good fortune compared to the tragedy and pain of so many other people. If I’ve learned anything in the last 24 hours is that whether it’s your loved ones or strangers when the going gets tough the human spirit to care will prevail. So relieved to hear you escaped unharmed and were fortunate to be well looked after by such a good Samaritan. I had no idea you were down there, I would have been terribly worried if I’d known. How awful for the people of Christchurch and so many families. It was a beautiful city. I really hope, in time, the people can find the strength to rebuild it in all its glory, with the support of the rest of New Zealand of course. I’m so glad that you are back home and safe though of course my heart goes out to everyone who has been affected by the earthquake. Even though I know now that we won’t be moving to NZ I still feel a link since my heart and dreams were headed there and of course I feel I’ve got to know yourself and other people through your blogs. It was so sad to see the news and I still keep the tv tuned to the news channel to keep abreast of events, hopefully hear of more people being rescued from the debris.